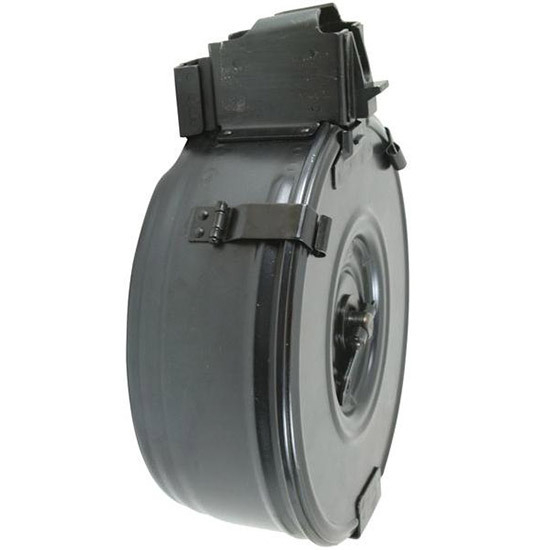 This 75round drum magazine works with all AK style rifles and pistols that accept high capacity mags. Dimensions are 7.75 x 6" x 2.25". Weighs 2.25 lbs. empty 5.05 lbs. loaded."